July 1999 – Second and Main Ltd., announces the project and fundraising campaign to the public. November 1999 – The former Rike’s/Lazarus department store building is imploded to make way for construction of the new performing arts center. February 2000 – Site cleanup is completed. April 2000 – Groundbreaking ceremony is held for the Schuster Center site. June 2000 – Project officials award first construction contract, for shoring and excavating. July 2000 through February 2001 – Contracts are awarded and construction commences. June 2001 – A special ceremony is held to unveil the Schuster Center model. October 2001 – Food service provider for the Schuster Center is announced. April 2002 – Wintergarden glass wall enclosure is completed. October 2002 – Time capsule placed in the Schuster Center. February/March 2003 – Gala Celebration held to mark completion and opening of the Schuster Center. March 2013 -February 2014 – Schuster Center celebrated its 10th anniversary! Since 1912, the corner of Second and Main Streets in downtown Dayton has held a prominent spot in the community. That was the year Frederick Rike opened Rike’s Department Store at the location. For many years, the Rike’s store at Second and Main prospered as one of Dayton’s premier shopping locales. The store’s fortunes declined in the ’70s, as customers abandoned downtown in favor of suburban shopping malls. Following several corporate mergers and a name change to Lazarus, the store finally closed in 1992. The Dayton Business Committee (DBC) and the Downtown Dayton Partnership, endeavoring to improve the city’s business and entertainment environment, realized the need to develop a plan for the old Lazarus/Rike’s building site. At about this time, a team comprised of Tom Danis, David Holmes, Steve Mason and Ron Budzik met at the Mead headquarters building and decided to find a way to create excitement downtown by creating a multiple-use development on one the cornerstone blocks in the center of the city. In 1995, the team formed a group to raise early capital funds to purchase the Lazarus/Rike’s building and the adjacent parking garage. Mead Corp., Reynolds & Reynolds, and Danis Corp. were among the first businesses to respond. The initial group, when complete, was comprised of 22 local businesses and community leaders that became Second and Main Ltd., which took its name from the building’s location. Their intention was to return this location to prominence with a signature project, and create a focal point for downtown Dayton’s renaissance. Second and Main engaged Kajima, a business development corporation versed in the study of city development projects and other urban centers, to recommend a plan for the site. Numerous options were reviewed over a lengthy span of time. Simultaneously, the Montgomery County Arts and Cultural District Facilities Committee compiled a feasibility study on renovating downtown Dayton’s primary performance space, Memorial Hall. The study concluded the cost to renovate the structure would outweigh the cost of building a new center. The study also looked at sites for a new arts center, and the Lazarus/Rike’s building was considered a prime location, given its close proximity to Memorial Hall, the Victoria Theatre and the Metropolitan Arts Center. Thus, the stage was set to redevelop the Lazarus/Rike’s property. The project’s momentum built as Dayton pursued its own minor league baseball team and began development of a downtown riverfront park along the Great Miami River. This was the capstone of downtown Dayton’s resurgence. As the next phase of the development, Second and Main formed a partnership with the Arts Center Foundation (ACF). The ACF was founded as a nonprofit charitable organization in 1986, dedicated to providing quality facilities for the performing arts in Dayton. The ACF owns the Victoria Theatre, which was reopened in 1990 after a $17.5 million renovation and is the home of the Dayton Ballet and Victoria Theatre Association. The ACF also owns the adjacent Metropolitan Arts Center, which transformed an old department store into a community arts learning center featuring the intimate Loft Theatre, home of Dayton’s professional theatre company, The Human Race Theatre Company. The Metropolitan Arts Center also houses offices of some of Dayton’s premier arts and cultural organizations such as Muse Machine and WDPR-FM 88.1, Dayton’s fine arts public radio station. All three of these facilities are owned and operated by Victoria Theatre Association. In the summer of 1998 the Executive Committee of Second and Main requested and received architectural concepts from several local and national firms. 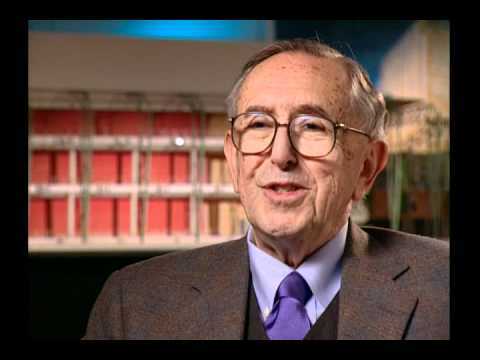 After reviewing a number of options, the Executive Committee of Second and Main ultimately chose the design of architect Cesar Pelli. His work includes Cincinnati’s Aronoff Center, the Charlotte Performing Arts Center, London’s Canary Wharf Tower, New York’s World Financial Center, and Kuala Lumpur’s Petronas Towers. In the summer of 1998, Second and Main held a series of public sector meetings with the State of Ohio, City of Dayton, Montgomery County and Miami Valley RTA to develop a set of viable public funding options for the project. The successful outcome from these meetings culminated in leadership financial commitments from Montgomery County, Miami Valley RTA, and the City of Dayton. The team began private fundraising with Lou and Steve Mason agreeing to lead the fundraising activities. Immediately following, Steve Mason and Tom Danis made major gifts, as did the Mead Foundation. This set the stage for the remainder of the campaign, with significant contributions from individuals, corporations, banks, and hospitals. The Masons unveiled the Schuster Center’s preliminary design to rave reviews through a series of small parties at their home. This got people excited and donations began to funnel into the project. The Dayton Daily News became very supportive of the design, which still incorporated both a hotel and apartments in the tower. More than $40 million in local funding came from many community and corporate leaders. The Dayton Foundation, custodian for the donated funds and, more importantly, the guarantor of a series of financings that needed to take place, became the financial backer for key portions of the project. The Dayton Foundation, in turn, looked to the other contributors as their guarantee. The Dayton Foundation’s involvement was instrumental in the project’s success. The state funding was secured by the Second and Main team from the Ohio Arts and Sports Facilities Commission, following some pivotal lobbying by then State Representative Bob Corbin with strong support from the whole Miami Valley delegation. At this point, it was decided to bid the project out, and several firms applied. Ultimately, the project went to the firm of Messer-Danis, Cincinnati, Ohio, for several reasons: Messer had previously worked with Cesar Pelli in Cincinnati on the Aronoff Center, and Danis brought knowledge of local regulations and contractors to the project. The first stage of development involved demolition of the existing Rike’s/Lazarus building. One era came to an end and a new one began when the building was imploded in November 1999. The official groundbreaking took place in April 2000. During this time the performing arts center got its name, when Dr. Benjamin Schuster and wife, Marian, made a major gift to the project. The facility was then christened the Benjamin & Marian Schuster Performing Arts Center. In late 1999, the Arts Center Foundation became the owner and operator of the new performing arts center. In mid-2000, Mark Light, then president of Victoria Theatre Association and Dayton Opera, was hired as the Arts Center Foundation’s first president. Plans for the tower portion of the project also changed during this time. Unable to locate a hotel willing to come aboard without the project being fully funded, Tom Danis suggested converting the apartment space to condominiums and office space. The tower was then scaled to its current size of 18 stories. Construction began in July 2000, and reached completion in early 2003. The Schuster Center celebrated its 10th anniversary in 2013!